It's kitsch. It is very exaggerated and ugly. Less is sometimes more. That's a really mean thing to say! 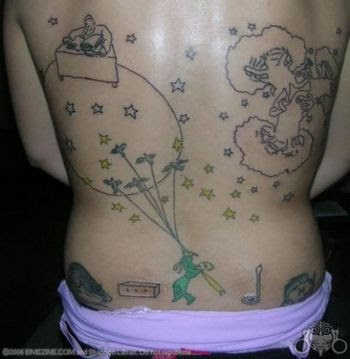 I think the tattoo is a fun, creative depiction of a fantastic book.